Apicius rightfully believes that Thrasius is the key to his culinary success, and with Thrasius’s help he soon becomes known for his lavish parties and fantastic meals. Thrasius finds a family in Apicius’s household, his daughter Apicata, his wife Aelia, and her handmaiden, Passia, with whom Thrasius quickly falls in love. 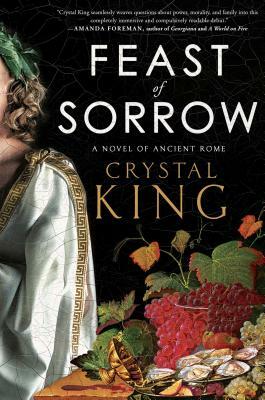 But as Apicius draws closer to his ultimate goal, his reckless disregard for any who might get in his way takes a dangerous turn that threatens his young family and places his entire household at the mercy of the most powerful forces in Rome.